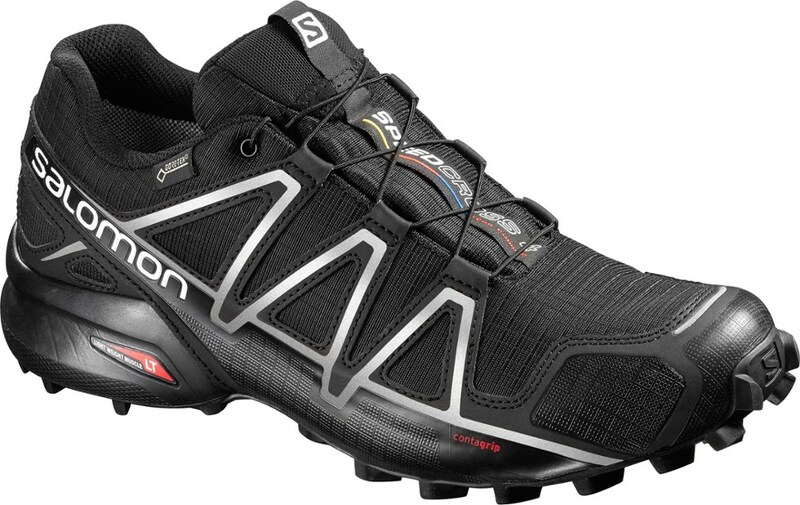 Tough trail runners, heavy but protective. 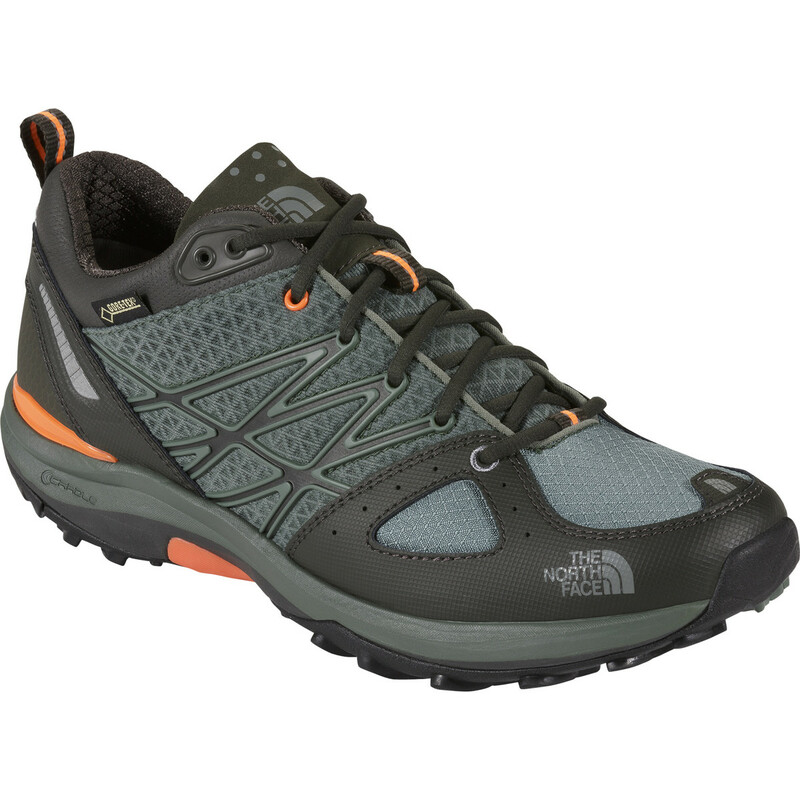 The North Face Ultra 109 GTX is a very solid, sturdy trail runner with Goretex waterproofing. 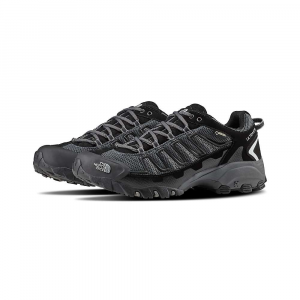 On the heaviest end of the spectrum for a product sold as a running shoe, the thick sole and solid toe cap will protect your feet from any rocks or roots you might ramble over. Traction is good on all surfaces. 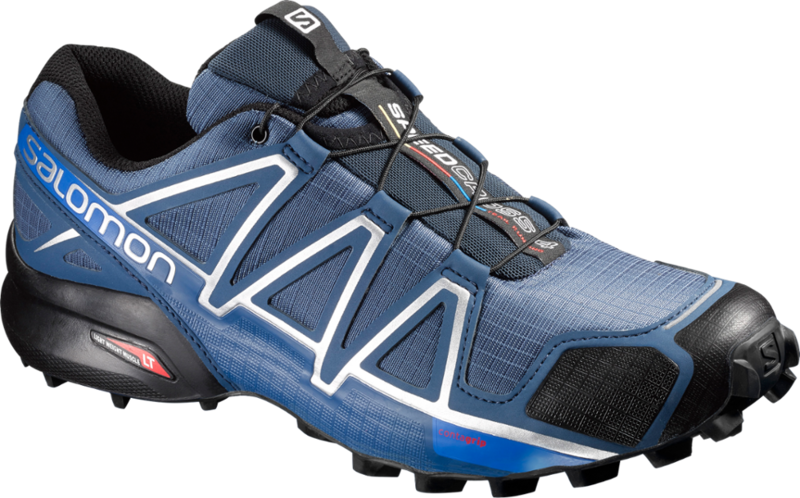 For the hiker that is considering the switch from a hiking shoe or boot, the NF Ultras would be a good shoe to test a transition. 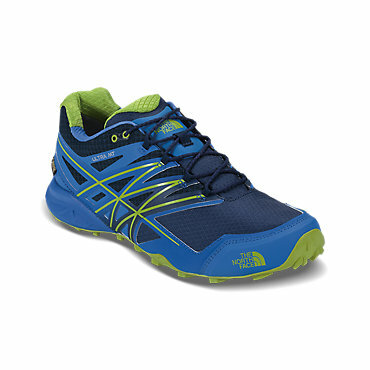 Once on they do inspire a run, unlike a Targhee 2 or similar Goretex hiking shoe. Arch support is good. The laces and eyelets are first rate and allow you to adjust the fit as needed. The waterproofing is still working, the seams and gluing are holding fine, the lugs are holding up well. 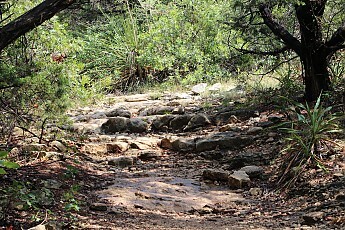 I've hiked with them on warm and humid spring days and while the shoes did heat up it wasn't excessive. I've completely submerged them walking through a creek on the way out to the car with 5 miles left to go, the bottom half of the upper is leather, but the top half is mesh and I've noticed the Ultra 109s seem to dry a bit faster than expected, and walking with them wet isn't terrible, but not recommended. 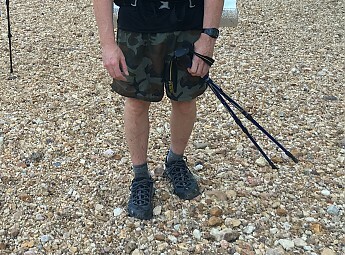 I've worn these shoes on a few overnighters and a 4-day trip in the Ouachita Mountains, though I haven't put as many miles on them as most of my other trail shoes, having completely switched to lighter, non-waterproof trail runners. I have worn them daily for two months as a work shoe for a city water department, where they are subjected to digging/kicking small holes in the ground to uncover water valves, keeping my feet dry and protected while bushwacking overgrown utility easements and rip-rap, and maneuvering heavy, metal valve caps and sewer covers into place. Basically, they're now my work boots, and the Ultra's are working great for that as well as backpacking! Thanks for the review, Andy. So, how did that "shortcut" go? Sounds like it made the trip even more memorable at least! 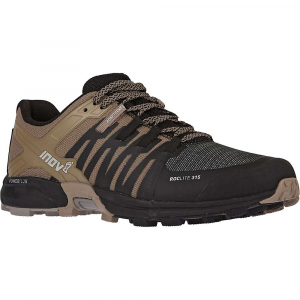 This trail shoe is all about comfort and fit. A technically sound shoe. After 15 plus years of amateur trail running this shoe is finally "the one." This is the first and only trail shoe I have used where my feet did not hurt after a run. I have been wearing Cascadia for a few years and I just thought everything was supposed to hurt as I "matured". I am 6' and 210, 59 yrs old. I happened across these in a web search so I decided to give them a spin. I wear 11.5D dress shoe and I sized up to 12.5. The most amazing part for me is the comfort, lots of cushioning and padding. They just wrap around my feet. Laces are round and thick. They are easily adjustable and they stay in place. 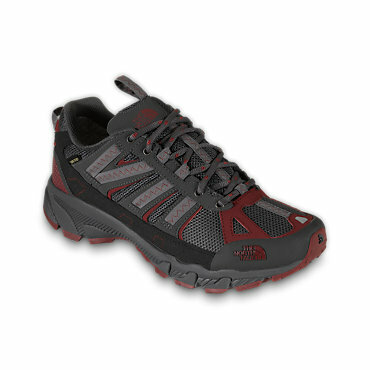 North Face sells these as trail runners with a little stability, but states they can also be used for light hiking. My first thought was Gore-Tex, these are going to get hot! I run in South Texas, temps were above 100°f these past few weeks. The shoes are a little heavier than I was used to but I never noticed the heat, maybe because I’m used to it. The sole and lugs are much more substantial, which seems to contribute to the weight, but I found I was more surefooted and confident than before, especially downhill. Waterproof? 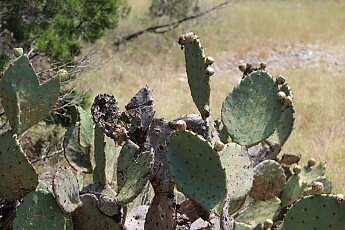 This is South Texas, what water? If I find out I’ll let you know. If they ever make this shoe sans Gore-Tex I’ll give them a try. The shoe fits a little higher on the ankle. With prior shoes rocks and sticks would find their way into them. Not with these shoes, no stopping to remove pebbles and dirt. I never felt any rubbing or chaffing but I never did with other shoes either. Other reviewers have said the upper webbing wears through after a short while but I have not seen that yet after only a few weeks. This shoe also makes a very good walking around “everyday” shoe. It pairs nicely with shorts or jeans. There is nothing minimalist about these. They are big, thick, clunky battleships on your feet, but the comfort before and after a run far outweighs that. I highly recommend these shoes.